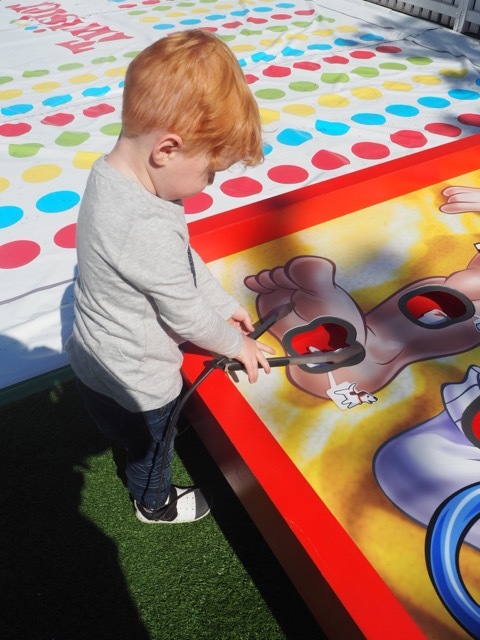 Kate and her mini bunnies hopped down the Big Games Adventure at Harbour Town Melbourne early this month and enjoyed an easter egg hunt, hasbro life size games like Twister and Operation, garden games, jumps in a jumping castle and a ride on the Melbourne Star. Checkout Kate's review, tips and info on what to do and what's on these school holidays at Harbour Town Melbourne. To follow Kate's adventures, head to her Insta account. Hop on down to Harbour Town Melbourne for the star attraction these Easter School Holidays! Harbour Town Melbourne - in partnership with the Melbourne Star Observation Wheel - invite you to embark on a Big Adventure without even leaving the city. Bounce on the jumping castles, have a go at the Hasbro life size games, partake in classic garden games and immerse yourself in the NERF obstacle course. Plus there’s no such thing as too much chocolate at Harbour Town Melbourne with 20,000 Easter eggs being hidden around the Docklands shopping centre for a special Easter Egg Hunt. Best of all, it’s all FREE and if you collect all the stamps in your Adventure Passport you go in the draw to win a Hasbro prize pack valued at $1,000!!! 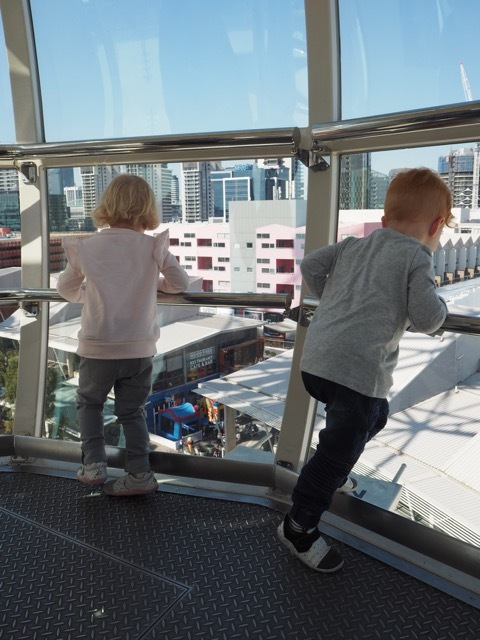 If that isn’t enough excitement for you, the Melbourne Star Observation Wheel is offering FREE flights for children when accompanied by a full paying adult. Prepare yourself for extraordinary fun having a go at the giant Twister, Operation and Connect 4. Miss Macy particularly loved showing off her yoga skills on the 5m x 5m Twister mat! Little ones aged 3-9 will love bouncing and playing in the jumping castles. There is plenty of seating nearby for parents or carers to sit and watch too. Enjoy classical garden games on a bigger scale, including Chess, Checkers, Quoits, Croquet and Jenga! There are also a few musical instruments for smaller children. Put your distance, speed, accuracy and precision skills to the test and improve your training to become the ultimate NERF fan. Take a snap with the Easter Bunny and get a chocolate treat too! Collect an Easter Egg Hunt bag and map from the Bunny Booth located under the Melbourne Star and hop around looking for chocolate eggs. To celebrate the launch of the Big Games Adventure we were treated to a ride on the Melbourne Star Observation Wheel. Overlooking Harbour Town Melbourne, the Melbourne Star is one of only four Giant Observation Wheels in the world, and the only one in the Southern Hemisphere. The 30 minute ride was an experience like no other and with perfect clear, blue skies we got to enjoy uninterrupted 360-degree panoramic views of Melbourne, Port Phillip Bay, right through to Mount Macedon and the Dandenong Ranges in the distance. The in-cabin audio commentary gave us a brief introduction to the history and significance of the landmarks whilst the poppets absolutely loved providing their own commentary - excitedly yelling out what they could see in the busy port, scenic gardens, and bustling streets of the city below. A ride on the Melbourne Star Observation Wheel is definitely something to add to your must-do list, so these school holidays we highly recommend taking advantage of their special offer - FREE flights for children when accompanied by a full paying adult. For current dates and times, visit the Harbour Town Melbourne website.